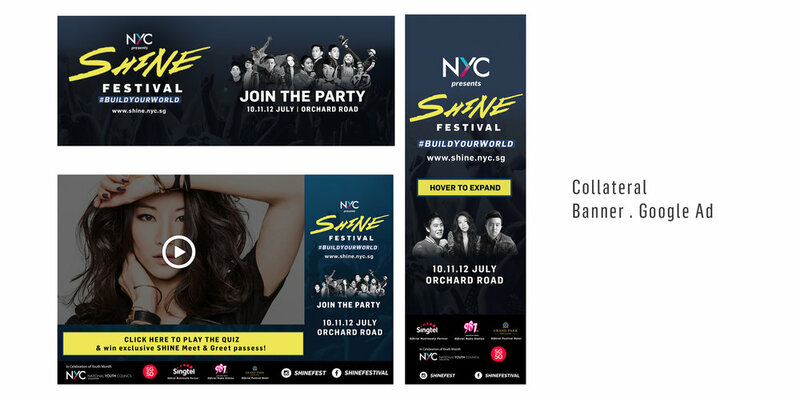 SHINE Youth Festival is a yearly event held by the National Youth Council, NYC, of Singapore. In 2015, the theme was #buildyourworld, where artists around the world are flown in from around the world to motivate youths to build their own world according to what they are passionate about. Designed under my internship in Gushcloud Singapore.